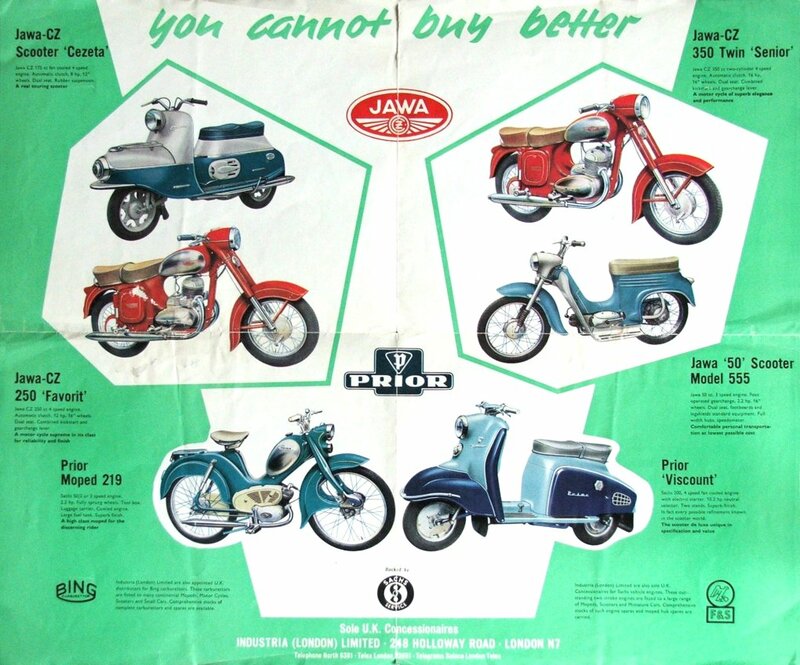 A poster issued in about 1960 by Industria (London) ltd., the UK Jawa importer at the time. It’s interesting in that it shows that Industria were, apart from Jawa CZ importers, also agents for Prior scooters and mopeds from Western Germany and also agents for Bing carbs and Sachs engines. The Prior brand is unknown in Germany. Prior motorcycles were Hercules products renamed for sale in Britain, where there was already a motorcycle assembler of the same name.